Caution: There is a lot of variety in larval forms, and they are difficult to identify. Here are a few tips. 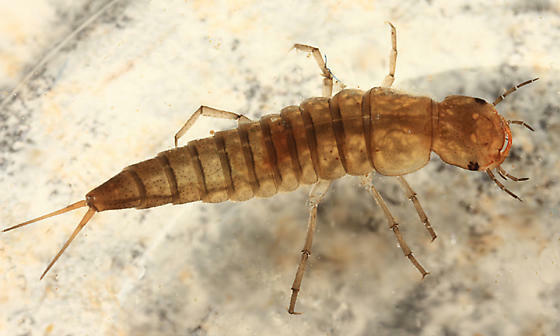 Larvae have a well-developed head with chewing mouthparts. The abdomen does not have prolegs, but may have gills. 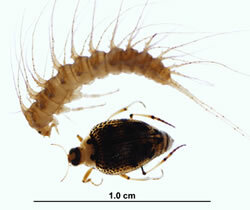 Figure 8.I: Peltodytes larva and adult (Haliplidae). 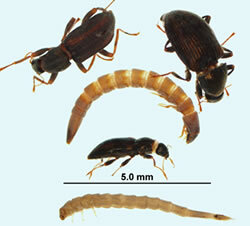 Figure 8.J: Riffle Beetle larvae and adults (Elmidae).